Sketching my notes is something I’ve been doing all my life long before it became a thing. As someone who enjoys drawing it is often a challenge to separate the difference between the skill and talent of drawing and sketching visual notes. First, sketchonting has zero to do with artistic ability. 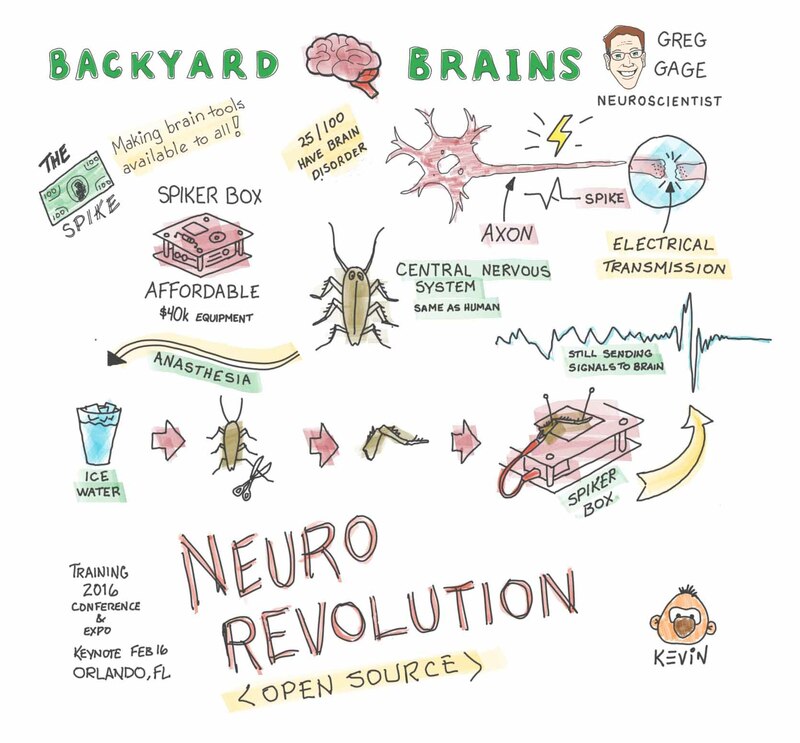 Sketchonting has everything to do with processing what one hears and making visual notes of key concepts in a hierarchical structure for immediate retention and later recall. I’m looking forward to a session coming up at Learning Solutions 2016 Conference & Expo next month in Orlando, FL. Join me at session LS304 on Wednesday, March 16 at 2:30 PM for Sketchnoting: Capturing Ideas and Concepts with Visual Narratives where I’ll share simple tips and techniques to get you started taking visual notes. For fun, we may even sketch the notes of that very session together! 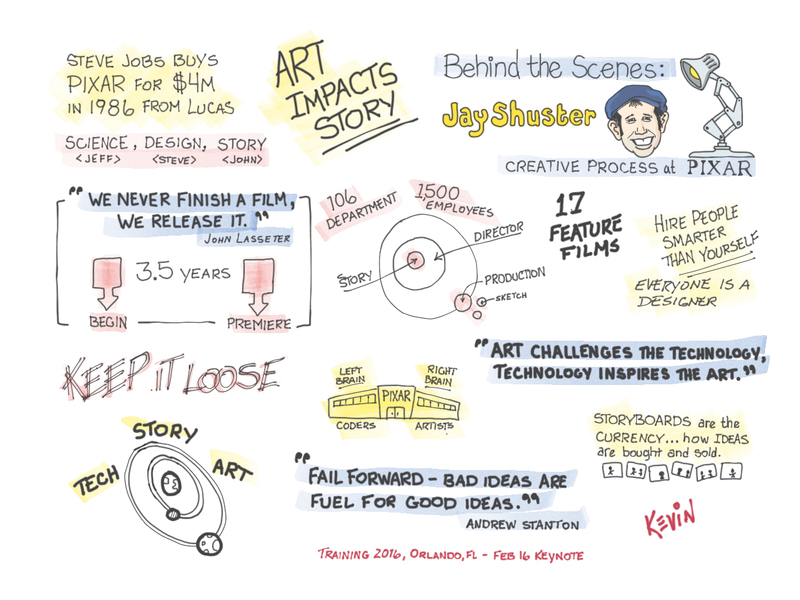 Here are a couple sketchnotes I did last week of the keynotes Greg Gage and Jay Shuster while attending the Training 2016 conference.